What goes into making a satellite? Let the folks at NASA tell you. Using the MAVEN mission as an example, this video describes the steps a proposed mission must go through before construction even begins. A satellite is anything that orbits another object in space. There are both natural satellites and artificial satellites. An example of a natural satellite is the moon, which is Earth's natural satellite. Examples of artificial satellites include any machines that are sent into space and that move around the Earth, moon, sun, or a planet. The first artificial satellite launched into space was Sputnik 1, on October 4, 1957. Today, there are more than 2,500 satellites orbiting Earth. Artificial satellites are used for radio, television, navigation, and other types of communication. 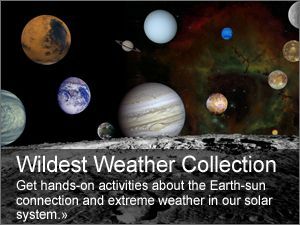 They are also used for studying the planets or objects they move around, including being used to monitor weather. This video uses NASA's MAVEN mission as an example. MAVEN is an acronym that stands for the Mars Atmosphere and Volatile Evolution spacecraft. MAVEN is a robotic mission that will study the atmosphere, climate, and potential habitability of the planet Mars. It will also study the planet's interaction with the sun and solar wind. MAVEN's launch date is set for November 18, 2013. After arriving at Mars in fall of 2014, MAVEN will use its propulsion system to enter an elliptical orbit ranging 145 to 6,228 kilometers (90 to 3,870 miles) above the planet. MAVEN's eight science instruments will take measurements during a full Earth year, which is roughly equivalent to half of a Martian year. NASA: Student Features—What Is a Satellite?